Citrus fruits, like oranges, have been cultivated for the last 4,000 years in southern China and Southeast Asia. One variety, the citron, was carried to the Middle East some-time between 400 and 600 B.C. Arab traders transported oranges to eastern Africa and the Middle East sometime between 100 and 700 A.D. , and during the Arab occupation of Spain, citrus fruits first arrived in southern Europe. From there, they were carried to the New World by explorers where they spread to Florida and Brazil by the sixteenth century. By the 1800s, citrus fruits achieved worldwide distribution. In the 1890s, the demand for them greatly increased because physicians discovered that drinking the juice of oranges or other citrus fruits could prevent scurvy, a vitamin deficiency disease. The popularity of orange juice dramatically increased again with the development of the commercial orange juice industry in the late 1920s. In its early days, the juice industry primarily relied on salvaged fruit, which was unsuitable for regular consumption because it was misshapen, badly colored or blemished. In the 1930s, development of porcelain-lined cans and advances in pasteurization techniques led to improved juice quality and the industry expanded significantly. Then, in 1944, scientists found a way to concentrate fruit juice in a vacuum and freeze it without destroying the flavor or vitamin content. Frozen concentrated juices were first sold in the United States during 1945-46, and they became widely available and popular. After World War II, most Americans stopped squeezing their own juice and concentrated juice became the predominant form. With the increase in home refrigerators, frozen concentrate became even more popular. The demand for frozen juices had a profound impact on the citrus industry and spurred the growth of the Florida citrus groves. Frozen concentrates remained the most popular form until 1985 when reconstituted and NFC juices first out-sold the frozen type. In 1995, NFC juices were responsible for 37% of the North American market. This is in comparison to reconstituted juice, which held about 39% of the market. Today, commercial aseptic packaging allows RTD juices to be marketed without refrigerated storage. The current worldwide market for orange juice is more than $2.3 billion with the biggest area being the United States followed by Canada, Western Europe, and Japan. To grow good quality orange, we need nutrient-rich soils that have enough sunshine and need hot, humid tropical rains.. The ripeness of the orange is determined by measuring the sugar content in the orange juice. When the sugar content reaches at least 10%, oranges are ready for harvest. In addition, no substitution test was allowed to test the sensory quality of orange juice. Note that oranges are only ripe on the plant, oranges will not continue to ripen after harvest..
After harvest, oranges are shipped to the factory immediately. There, the oranges were sprayed with water to wash and move out of the car and passed through the conveyor belt to the orange room according to their size. After that, orange juice with orange shrimp is squeezed out of the fruit, while the peel and orange seeds are removed. Orange fillets are separated from orange juice and then added back to orange juice to produce the orange juice. Finally, orange juice is boxed and quality tested by sensory experts before shipment. 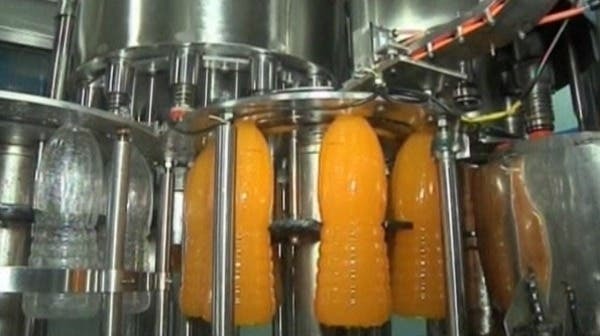 Preservatives such as sulfur dioxide or sodium benzoate are allowed by federal regulation in orange juice although the amounts are strictly controlled. Similarly, ascorbic acid, alpha tocopherol, EDTA, BHA, or BHT are used as antioxidants. Sweeteners may be added in the form of corn syrup, dextrose, honey, or even artificial sweeteners. More often, though, citric acid is added to provide tartness. Manufacturers may also fortify juices with extra vitamins or supplemental nutrients such as vitamin C, and less commonly, vitamins A and E, and beta carotene. (Beta carotene is naturally present in oranges, but only to a small degree.) There is some concern about the stability of these added vitamins because they do not survive the heating process very well. Calcium in the form of tricalcium phosphate, is also frequently added to orange juice.